A compilation of some of the most well-known speeches of modern times. These speeches span the years 1940 - 1987. 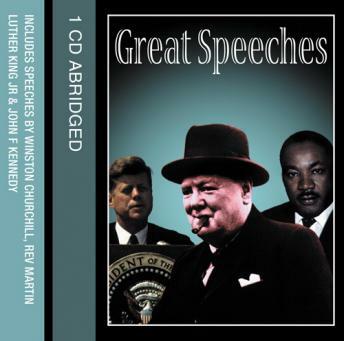 Among others listen to Winston Churchill's First Radio Address As Prime Minister, John F Kennedy's Inaugural Address and Richard Nixon's Resignation speech. Plus speeches from Rev Martin Luther King, Harry S Truman, Franklin D Roosevelt and Ronald Reagan.